“Our Love Story” is an exceptional work that portrays a mostly unexceptional love story. Director Lee Hyun-ju’s debut feature centers on Yoon-ju, a quiet 32-year-old art graduate student played by Lee Sang-hee, who says she has “never had time for dating.” Her priorities are shaken up, though, following chance encounters with the person who makes her want to make the time -- the more outgoing waitress and bartender Ji-soo, played by Ryu Sun-young. “Our Love Story” has already won acclaim in Korea -- in May it was the winner of the Korean competition of the Jeonju International Film Festival. Since then it has toured the globe, including at the San Sebastian Film Festival in Spain in September and Vancouver International Film Festival in Canada in October. The film began its local limited theatrical run Thursday. While Yoon-ju is constantly surprised by what she learns about herself, the audience is likely to be a step ahead in seeing where it goes. The subtle portrayal of the cat-and-mouse, push-and-pull quality of a budding relationship should feel familiar to anyone who has experienced new love. The “exception” of the story, of course, is that the love portrayed is between two women in a modern Korean society still largely unaccepting of such relationships. Ji-soo becomes the unexpected voice of reason and experience in the relationship, having already faced many of the struggles of knowing who she can trust to be herself in front of, and where. Yoon-ju especially finds her life responsibilities left to contend with the new sensations. Both women, meanwhile, feel the pressure from friends, family and society all urging them at this crucial age to meet a man, settle down and get married. Cinemagoers expecting large dramatic performances and outbursts, however, will be disappointed. While director Lee doesn’t avoid portraying the additional societal burdens and complexities of their situation, neither does she overdramatize it, instead displaying universal emotions and struggles in making a relationship work. Despite a pace that sometimes feels methodical, even at just 99 minutes, “Our Love Story” is a densely packed film, leaving a lot boiling just under the surface. 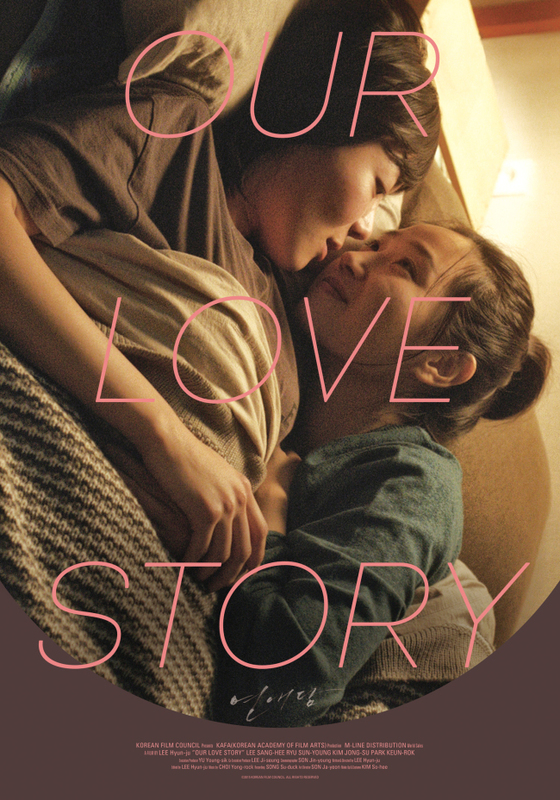 “Our Love Story” will be screened with English subtitles at Emu Cinema in Jongno. For a schedule of screenings, visit www.emuartspace.com.